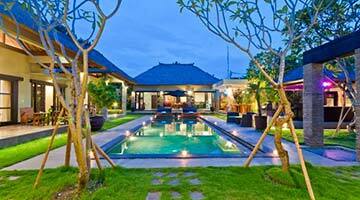 View our best 2 bedroom holiday villas in Seminyak. Renowned for the best boutique shopping, amazing world class restaurants, pampering day spas, incredible beach clubs such as Ku De Ta, gyms, yoga studios and hip cafes where you can enjoy your morning latte while watching the world go by, Seminyak is 24/7 non stop action. 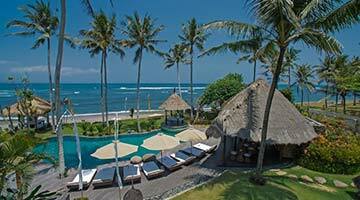 Most of these 2-bedroom Seminyak villas are near the beach and are also budget friendly. Our 2 bedroom villas are individually hand-picked and must pass our stringent quality controls such as; great service from the staff, top locations close to Eat Street & Seminyak & Petitenget beach, quality bedding, modern kitchens, clean and contemporary bathrooms & lastly villas that have that certain pizzazz! Two bedroom villas are generally very versatile, coming in an array of sizes, architecture, amenities and facilities. They are perfect for small families and also groups of friends or couples, looking to enjoy the the experience that only a villa can offer. 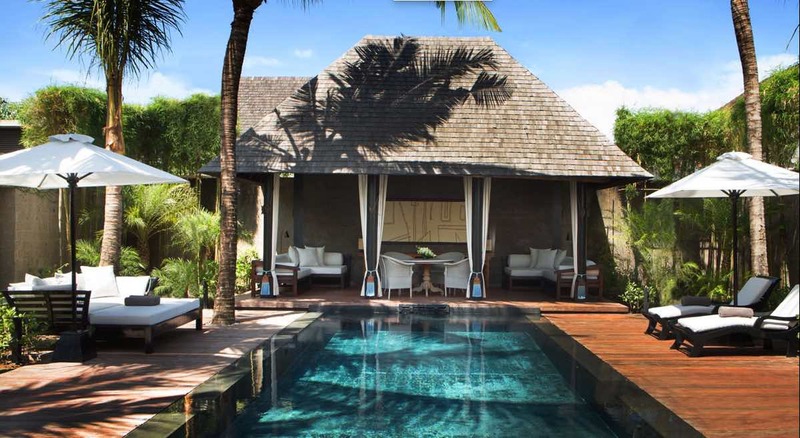 Also read: 21 unbeatable Seminyak holiday villas – under $500 a night! 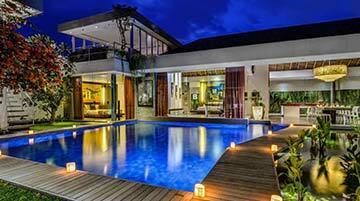 What can you expect when you rent a typical 2 bedroom Seminyak villa. – you will ave so much privacy and if your used to staying in a hotel, villa holiday living will be a fabulous experience! To view our full range of Seminyak villas or more Bali villas please browse this website or contact our reservation team. 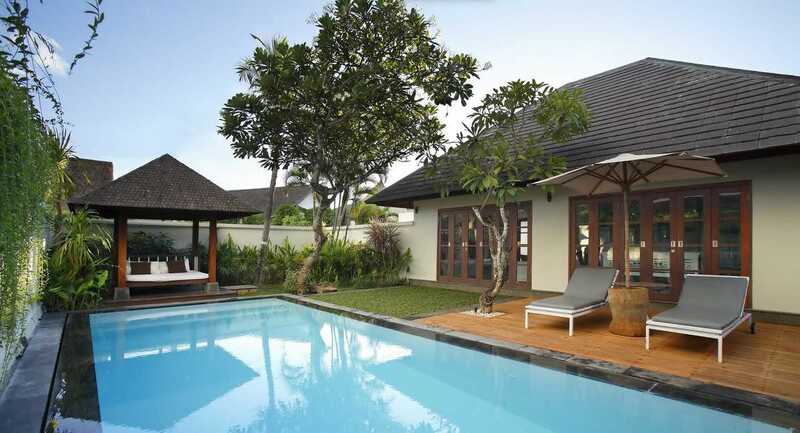 10 BEST 2 bedroom villas in Seminyak for 2019. The Kayana Villas are exclusive 2 bedroom holiday villas tucked away in a private estate offering 5-star services and a private butler on hand 24/7. Located just off Jalan Petitenget, Seminyak’s most prodigious strip, walk out your front door and within 2 mins are two of Seminyak’s most exclusive restaurants; Biku and Merah Putih. Also within a short stroll you can jump from the diving tower and make a splash in the pool at Mrs Sippy day club, or for that unbeatable beachfront location try Potato Head, suitable for the whole family. 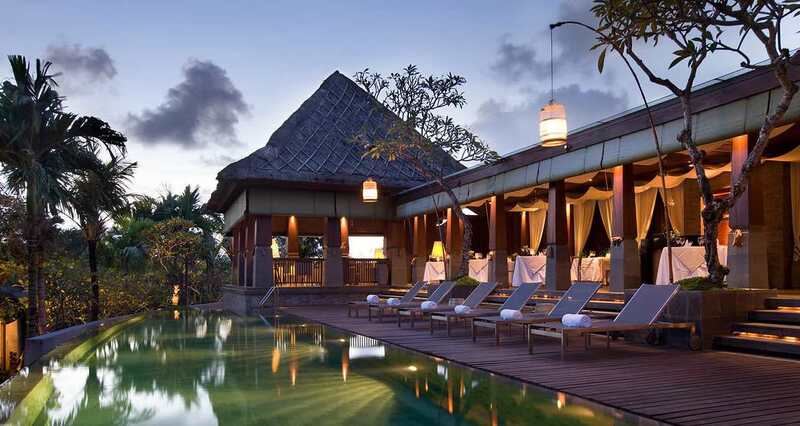 The villa complex offers fantastic facilities with its own in-house restaurant; “Dauh”, serving an excellent selection of Asian and Western flare. Your private villa has its own private swimming pool; however a much larger, communal infinity pool is also waiting for you to breach its glistening waters. 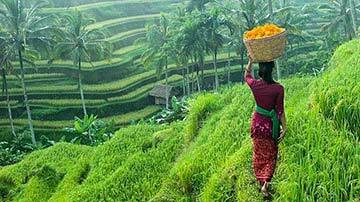 For some well deserved pampering the in-house “Ayur” day spa will relieve you of the stresses of city life. Your villa offers air-conditioned comfort over 400 sq mtrs with as well as an open-sided pavilion where you can kick back, turn on the huge flat-screen and enjoy DVD’s or cable TV. Both bedrooms boast King sized beds, private en-suites and 42” flat screen TV’s to keep you entertained after the sun goes down over the Indian Ocean. Located just off Seminyak’s most popular street, Jalan Oberoi (Jalan Kayu Aya or Eat Street) guests are spoilt to a 5min walk to Seminyak Beach and the ultra-iconic Ku De Ta Beach Club. Start the day with a roasted cup of coffee at Revolver, Sea Circus or Sisterfields, just a few of the many fantastic, nearby cafes. This stunning 2 bedroom holiday villa was masterfully designed by famed architect, Stephan Remini. 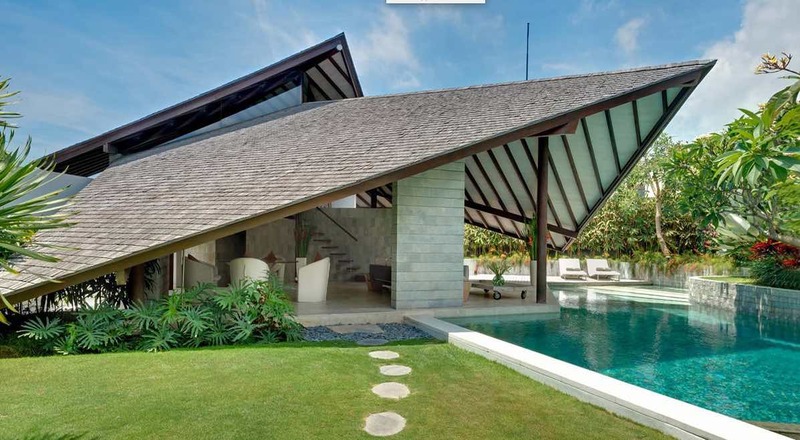 Traditional design features such as the traditional shingled roof are matched by Mother Nature’s addition of fragrant frangipanis around the villas huge T-shaped swimming pool, more likely to be found in a 3 or 4 bedroom villa. Your bedrooms are sanctuaries of unadulterated relaxation, King sized beds, flat-screen TV’s along with full air-con, huge soaking tubs and rain showers, what more could you ask for! Well yes there are fluffy dressing gowns, slippers, a safety box as well as los of storage space. Guests will enjoy a late afternoon turn down service as well as 24-hour room service and if you need help with transport, day trips, directions or extra requirements the 24-hour concierge desk will be there for you. Villa Eshara is one of our most popular family holiday villas, its prime Seminyak location just 5 mins from Seminyak Square and the iconic Ku De Ta Beach club, make this the perfect holiday location. The villas interiors are like something out a vogue magazine, with beautiful plush furnishings and design themes, creating that real home-away-from-home feeling. The sense of style and sophistication extends to the outdoors, with a glistening private pool, a series of designer day beds, elegant parasols and an Australian styled BBQ, the kids will really enjoy. The villa enjoys an L-shaped master plan, with two exceptionally well appointed, private en-suited bathrooms. The parents can enjoy the master King sized bedroom while twin singles ideal for the kids, both rooms feature soaking tubs and rain showers, along with every creature comfort. Guests can try a sumptuous brekky at Ku De Ta as the waves roll in, explore the nearby boutiques and day spas and maybe head to La Lucciola for an amazing lunch. For dinner, Ultimo is a must try for well priced Italian cuisine and Mykonos serves wonderfully authentic Greek food that even the kids will love. 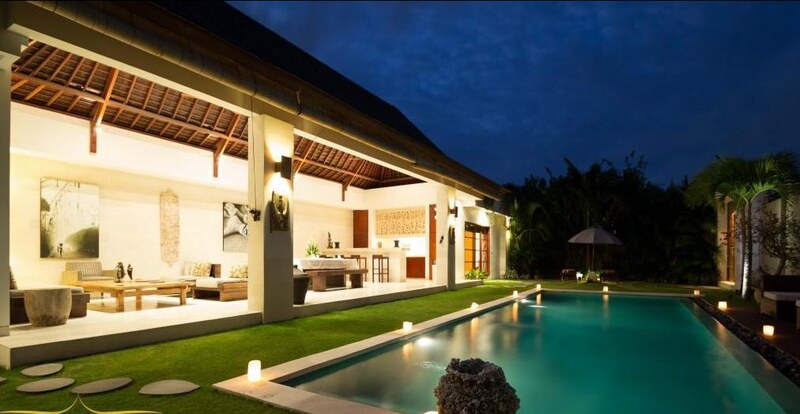 Villa “The Layar”, 2 bedroom villa, is situated within an exclusive villa estate in the heart of Seminyak just off Jalan Pangkung Sari and only a 5min walk to the heart of Seminyak’s famous Eat Street. The Layar Villa Complex offers several 2 bedroom villas, set amid huge sprawling tropical gardens so guests have that real sense of space. The villas are well renowned for their cutting edge architectural design with high pitched, angled roofs and wonderful al-fresco living environment. The private pool is suitable for young children and they will love running through the amazing gardens. Guests will enjoy all the privacy of a private villa, with the added bonus of 5-star hotel services including 24-hour room service. On top of that the location is perfect with a 5min walk to all the day spas, cafes, boutiques and great beach clubs such as Potato Head and The Whoo Bar. Adjacent to the front gate of the villa complex is one of the best Italian restaurants in Bali, winning a host of awards for its rustic take on Italian cuisine. The beach is around a 10-15min walk, take the entrance to Ku De Ta Beach Club and you will be on the glistening sands of Seminyak Beach. Villa Lataliana is only 300 meters from the Seminyak Beach, right in front of the Anantara Hotel and the wonderful Gado-Gado, fine dining restaurant. The villa is tucked in a quiet lane and the convenience of nearby Seminyak Square, with a supermarket, ATM’s and an array of great shops. The villa is part of a larger 8 bedroom complex and features a traditional styled self contained pavilion, with a King size bed and 2 bunk beds as well. The King sized bed can be converted to twin singles, so it’s ideal for four children with a 2nd separate Master suite with a King size bed for the adults. The tropical gardens really are quite beautiful and you have access to a huge tropical inspired private swimming pool and there are a host of modern entertainment facilities; iPod docks, stereo systems and large smart TV’s. The kids will love the close proximity to the beach, the opportunity to take some surfing lessons, relax on a beanbag at La Plancha on the sand or live it up at Cocoon Beach, a myriad of fun times to be had by all. Tucked in behind the C151 complex, just off Jalan Kayu Aya ( Eat Street ) and just 5 mins to the most popular beach club on the island; Ku De Ta, Villa Kalih offers peace and the convenience of immediate access to central Seminyak. The villa is beautifully decorated with stunning artifacts and ornaments from around the Asian region. The villa has a well equipped kitchenette, wake each morning to a freshly cooked breakfast, prepared by the friendly staff. The villa is air-conditioned and features speedy Wi-fi and Cable TV. The expansive swimming pool is flanked by a spacious pool deck, sun beds and soaring palm trees with the warm Bali sun enhancing the holiday atmosphere. There are two private en-suited bedrooms, one boasting a four-poster king sized bed and the second twin singles. A morning walk on the beach may be complimented by a relaxing coffee at Revolver, Sisterfields or Grocer & Grind. Try a mouthwatering burger for lunch at Boss Man burgers, Waygu beef or even a tofu burger. If dining with the children some more casual options along Eat Street such as Nirwana sports bar and restaurant and Rumors are some great family restaurants. At the very top end of Seminyak’s most popular tourist precinct, Jalan Oberoi, is where you will find the beautiful Villa Chocolat. Right on your doorstep is the Corner Store, a great restaurant come coffee shop and Mama San, one of the most popular fusion restaurants. So if you’re intention is to shop until you drop, wine & dine, or spend time in the sun at Seminyak Beach, then Villa Chocolat fits the bill to a tee! The sparkling waters of your 10 meter pool will keep the whole family entertained for many fun filled hours. High vaulted ceilings grace the open-air living areas overlooking the pool. A modern kitchen is at your disposal; request the villa to be pre-stocked, with your favorite goodies prior to arrival. The villa features two Master suites with King size beds, so everyone gets to sleep like a King and Queen at Villa Chocolat. Soak in the oversized bathtubs or take a cleansing rain shower before laying down to rest. Some excellent family orientated restaurants within walking distance include Rumors, a relaxed dining experience, or across the road to Nirwana, where the kids can be dazzled by the nightly fire dancers and dad can watch the live sports. Coco Mart has all your fresh grocery needs and ATM’s and the kids will love the flavors at Gusto Gelato. Tucked in a quiet laneway at the top end of the famous Seminyak “Eat Street”, Villa Sukapadi provides plenty of privacy, peace and quiet. Just walk to the end of your lane and all the famed attractions of Jalan Oberoi are right there. The villa boasts an 11 meter private swimming pool, its infinity edge a place to rest on the side of the pool as the calming sound of trickling water takes you to paradise. The villas minimalist interior design will make you feel, ‘oh so comfortable’, whether its enjoying meals together or just relaxing on the plush lounges enjoying some International TV or a blockbuster DVD. The dining table seats up to 8 guests just in case a few friends or relatives decide to drop in. The 2 bedrooms are located in a separate pavilion, fully air-conditioned, views of your pool & garden and the chance to bathe tropical style, in the open-air en-suites, with tropical gardens. Also don’t forget to check out Jalan Drupadi with Lacalaca Cantina serving well priced Mexican food or something a little more upscale such as Zibiru or Kilo Bali. Also here you will find plenty of day spas and lots of great cafes & cheap places to take the kids for a meal. Located just along Jalan Pankung Sari, just one street back from Jalan Oberoi, Villa Nunia is a wonderful 2 bedroom family holiday villa. This private complex of villas is serviced by a team of friendly and professionally trained staff. Featuring modern and contemporary design, along with all the creature comforts of home, a restful and memorable family holiday ensures at Villa Nunia. The villa sits on 450 sq meters of land and tropical gardens, giving guests ample space to enjoy the brilliant Bali sunshine around your private pool. Staff can arrange for meals to be enjoyed on the spacious pool deck, al-fresco style and look after all your holiday needs. The interiors are chic and comfortable with cooling cement polished floors and striking white walls. Bi-folding doors allow you to live tropical style or relax in the air-conditioned comforts. When it comes to entertainment the LCD TV’s, Cable channels, home cinema, DVD/CD and stereo will be the answer to all your entertainment needs. Seminyak Square is within easy walking distance, a great supermarket; ATM’s, bakeries, coffee shops, Adrenaline Sports Bar and several cafes, are all just waiting for your enjoyment. Villa Impiana is situated in Jalan Kunti just off Jalan Raya Seminyak and right next door to one of the best spa treatment centres on the island, Prana Spa! Here you will be whisked away into a world akin to that of Moroccan flavors and scents. 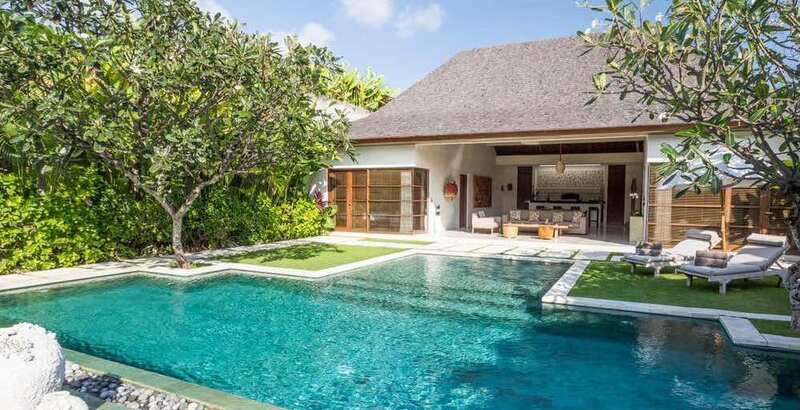 The villa complex has a 5-star rating with each 2 bedroom villa built over 400 sq mtrs, with delightful private swimming pools set within a tropical courtyard environment. High walls provide utmost guest privacy and you can even request an in-house massage right by the pool. In house dining is also available 24-hours a day. The living areas are spacious and well appointed, a high tech surround sound system, iPod Dock and USB allow you to create your very own holiday vibe. You can request the fridge to be stocked prior to your arrival and there are child care services available. Both bedrooms are King sized with private en-suites and everything from a safety box to kimono’s and slippers. Across the road is Bali Deli for all your grocery needs, wines & spirits, ATM’s and even a Dymocks book store. Jalan Raya Seminyak is loaded with fashionable boutiques, souvenir traders and great cafes such as Doppio Café at Bintang Supermarket and Sip wine bar and restaurant.